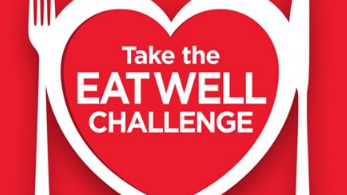 Aramark Eat Well Challenge Sweepstakes – Win a fitness tracker or other great prizes! Win a health related prize (winner gets to choose one: a juicer, fitness tracker or gourmet cookware each valued at $150) for yourself and someone you care about (100 winners)! 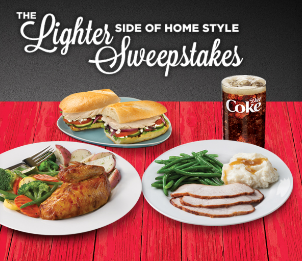 ENTER SWEEPSTAKES HERE – Aramark Sweepstakes page. ENTRY LIMIT – LIMIT: One (1) entry per person and per email address for the duration of the Sweepstakes. ELIGIBILITY – The Sweepstakes is open to legal residents (natural persons only) of the 50 United States and the District of Columbia, and who are eighteen (18) years of age or older (or of the legal age of majority in their state of residence, whichever is older) as of date of entry. 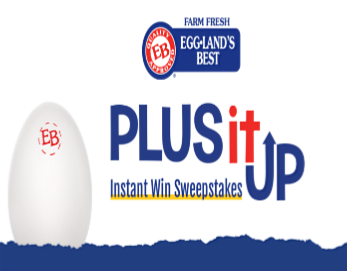 SWEEPSTAKES ENTRY PERIOD – The Eat Well Challenge Sweepstakes begins on February 1, 2016 at 12:00:01 PM Eastern Time (“ET”) and ends on March 6, 2016 at 11:59:59 PM ET. PRIZES – One-Hundred Grand Prizes/Twenty-Five (25) Prizes Awarded Per Week: Each Grand Prize consists of one (1) Prize for the winner (person submitting the entry) and one (1) Prize for the winner to share with someone they care about. Winner will have the following Prize choices: Option 1: One (1) Personal High Powered Juicer (Approximate Retail Value (“ARV”)=$150.00); Option 2: One (1) Fitness Tracker with Heart Rate Monitor (ARV=$150.00); or Option 3: One (1) Gourmet Cookware Set (ARV=$150.00). Teas’ Tea New Year New Gear Sweepstakes – Win a Fitness Tracker! Win a Fitness Tracker (31 winners)! ENTER SWEEPSTAKES HERE – Teas’ Tea Facebook page. ENTRY LIMIT – Each day is a new sweepstakes period – so this is a daily entry. 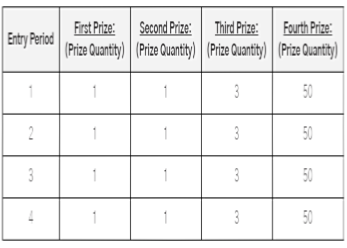 There is a limit of one (1) Entry per person, per Entry Period, throughout the Sweepstakes Period. ELIGIBILITY – TEAS’ TEA (NEW YEAR NEW GEAR) sweepstakes is open to legal residents of the fifty (50) United States (including the District of Columbia), who are at least eighteen (18) years of age at the time of entry. SWEEPSTAKES PERIOD – The Sweepstakes commences at 9:00 AM Eastern Time (“ET”) on January 01, 2015 and ends at 5:00 PM ET on January 31, 2015. PRIZES – There are thirty-one (31) Daily Prizes available to be awarded in this Sweepstakes (one (1) per Entry Period). Once confirmed as an official Daily Prize winner, as detailed below, each Daily Prize winner will receive one (1) Health and Wellness Fitness Tracker (exact make, model, color, type, size, etc. to be decided at the Sponsor’s discretion). The ARV of each Daily Prize is one hundred and thirty dollars ($130). Nebraska Furniture Mart “Take Steps to a Healthier You” Sweepstakes – Win a activity tracker! Win an activity tracker (20 winners)! ENTER SWEEPSTAKES HERE – Nebraska Furniture Mart Facebook page. ENTRY LIMIT – Limit one entry per person. Earn bonus entries by referring friends (when they enter, you’ll earn more entries). ELIGIBILITY – Participants must be 19 years of age or older and a legal U.S. resident. SWEEPSTAKES PERIOD – Sweepstakes begins July 25, 2014 and ends August 7, 2014.